Mister Rogers arrives with several toy cars and trucks which he takes to the kitchen table. Each toy is in a small box of its own and Mister Rogers plays a game matching the toys to the pictures on the boxes. He then takes out a larger toy truck and talks about how different types of trucks are used when people move to a new home. Joe Negri has allowed the Baker family to use the truck from his music shop as they move to a new apartment. 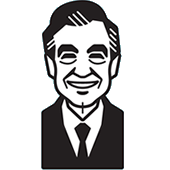 Mister Rogers visits the Bakers as he and Mr. Negri help them move into their apartment. Everyone sits together at the kitchen table and enjoys a glass of lemonade as they continue talking about moving from one place to another. Returning to the house, Mister Rogers talks about his own moving experiences from when he was young and sings I Did Too. In the Neighborhood of Make-Believe, Lady Elaine Fairchilde is broadcasting from the flea market being planned in her MGR-TV studio. At the castle, Corney expresses to Miss Paulificate that it is hard to give up old possessions as he struggles with what he should do with his old saw. Corney decides that he will keep his saw and lend it out to people when they need it. Back at the house, Mrs. Baker calls to thank Mister Rogers for his help and to let him know that their phone has been installed. He sings You're Growing before a short film plays showing children playing outside. "You're Growing" film by David Troster, Christopher Chapman LTD.
© 1975, Family Communications, Inc.